This is the entrance to my house. 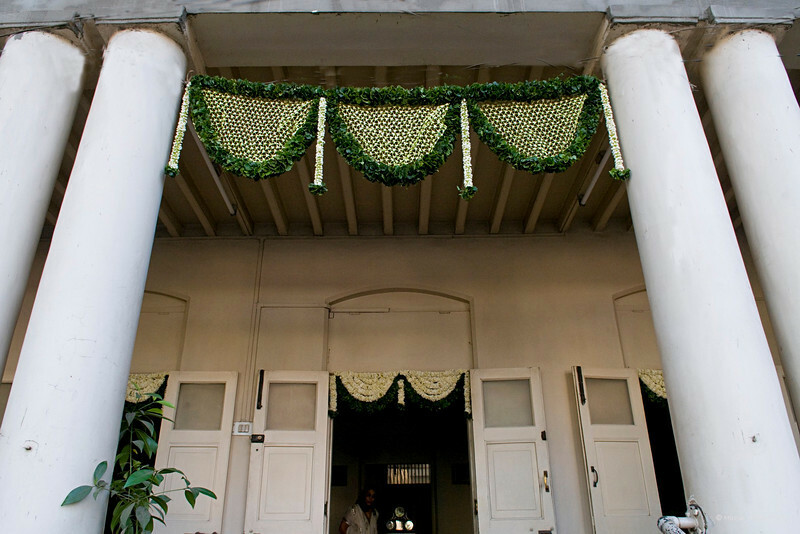 It's tradition to put up a flower 'toran' (door decoration) on auspicious occasions. I was away over the weekend and unfortunately the Net connection was down so have missed commenting on Daily shots. Today while commenting I noticed that now one has to Choose if the comment is for the Photo or the Gallery. I don't think this 'option' was there earlier? Personally I feel that if someone wants to comment on the gallery it would be done on the photographer's gallery page and not from the Daily page. This system requires you to select 'photo comment' which is cumbersome. What an effective image, nicely done! Wonderful comp! I enjoyed looking at the Mehendi gallery! Very majestic snap!!!! I loved the "toran"